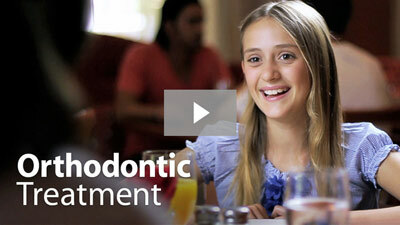 At Elite Smiles Chastain, we believe that the best approach to orthodontics is a comprehensive and personal one. Our comprehensive care works to keep your smile in top form at any stage of your life. For the early stages of oral development, we offer pediatric dentistry and early orthodontic care, and as patients get older and enter their teenage and adult years, we have professional orthodontic treatment to create the perfect smile that will last a lifetime. To ensure treatment is as effective as possible, we create personalized treatment plans for every one of our patients, catering to the individual’s oral health needs and creating a beautiful smile that is truly one-of-a-kind. One of the most common questions and concerns that we get here at Elite Smiles Chastain is: “When is the right time to go see an orthodontist?” Whether it’s a parent wondering if there’s an optimal time to schedule their child’s first appointment, or an adult wondering if this problem they have with their bite is something that will go away or needs to get fixed, there’s an overwhelming concern for timing that ends up stopping people in their tracks. That’s why we’ve put this helpful guide to outline when you should schedule an appointment with an orthodontist. Failure to close lips comfortably. If you notice that you are experiencing any of the above symptoms or issues, contact us at Elite Smiles Chastain to schedule a consultation. We’ll examine your jaw, bite, and tooth alignment to discover the cause and severity of the issues, and then work to create a personalized treatment plan for you. According to the American Association of Orthodontists, it is recommended that a child have their first appointment with an orthodontist by the age of 7 to receive an initial examination. It’s at this age that children enter one of the most crucial stages of their oral development, where their permanent teeth first begin to erupt, and most orthodontic issues start to form. 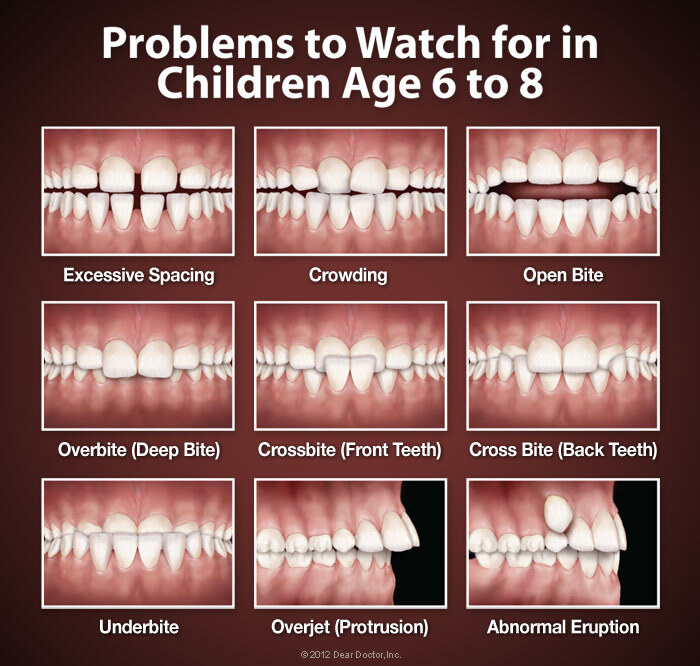 By taking your child to their first appointment by the time they turn 7, the orthodontist will be able to conduct a thorough examination of their current oral health, identifying any early warning signs of orthodontic problems that could arise in the future and provide preventative treatment if necessary. For example, palatal expanders can be used to create more space in the jaw, allowing your child’s permanent teeth to develop more naturally and lowering the chance of the teeth becoming crowded. Treating issues with the jaw will not only possibly make future orthodontic treatment with braces or Invisalign shorter and more comfortable, but also prevent the need for corrective jaw surgery or extractions when they get older. The orthodontist will also be able to help your child drop bad habits that could cause damage to or negatively influence the growth of their smile such as thumb sucking, tongue thrusting, and mouth breathing. Often, kids drop these habits on their own, but if they persist past a certain age, orthodontic treatment using thumb and finger appliances will help break the habit. Up to 20% of children can suffer from sleep disorder breathing (SDB) which is often due to a narrow upper airway. The short and long-term effects of this disorder can result in diminished growth and mental development. As part of each child's assessment at Elite Smiles Chastain, an upper airway examination is included! We optimize our early orthodontic treatments to include the teeth and surrounding jaw, face, and airway with our 3D skeletal development and state of the art Conde Beam analysis. We can correct skeletal malformations which not only cause crooked teeth but diminished airway capacity. Do you ever cover your mouth to hide your smile? Do you get self-conscious and nervous about smiling in public? Do you wish you had perfectly straight teeth? Do you want to have a healthy smile that lasts a lifetime? If you answered yes to any of these questions, contact us at Elite Smiles Chastain to schedule your first appointment because now is the best time to get started on the path to your new smile. Contact Us & Schedule Your Appointment! If you have any questions about pediatric dental and orthodontic treatment, adult treatment, or anything else about how and when you can get a perfect smile, just contact us at Elite Smiles Chastain and we’ll be more than happy to help you. For appointment scheduling, reach out to us a member of our staff will be able to assist you, or you can use our online appointment request form. We’ve been working with families from Chastain Park, Buckhead, Atlanta, and the surrounding communities for years, providing them with the high-quality orthodontic care that our practice is known for so that they can enjoy the healthy, radiant smiles they deserve. We look forward to providing you with the same kind of quality care, so schedule your appointment, and we’ll see you in our office soon!